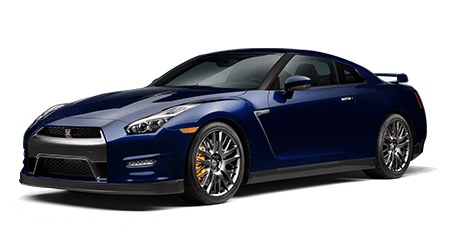 If you are ready for a vehicle with an unmatched blend of performance and style, then you need to head over to Wallace Nissan of Kingsport and check out the new 2019 Nissan GT-R Supercar. The overpowered sedan comes with an available 3.8L Twin Turno V6 engine that produces a robust 565 horsepower rating with an equally intense 467 lb-ft of torque. Plus, your GT-R will now shift gears faster than you can blink with the 6-Speed Dual-Clutch Transmission. The Dual-Clutch Transmission can execute a gear shift in just 0.15 seconds; now that’s pretty impressive! Schedule a test drive with our local new and certified pre-owned Wallace Nissan dealership and discover these features for yourself. Drivers in the Greeneville and Elizabethton, TN area should visit and speak to one of our friendly sales team members. All our staff is highly trained to find the answer to any question you may have about the new 2019 Nissan GT-R. While you are here, speak to one of our vehicle service team members about servicing the new GT-R.
And with the new GT-R, maintenance has become more accessible with the available Programmable Multi-Function Display. Now you can program your display to show a custom view on the engine viewing, turbo boost, oil temperature and pressure. With the Multi-Function Display, you are also capable of monitoring your acceleration Gs, turbo boost and historical fuel economy. Drivers who are interested in the new GT-R are invited to view our massive inventory of Nissan vehicles on our website. We encourage you to find the model and trim that best fits your lifestyle and to schedule a test drive today. We also welcome you to apply for Nissan financing online now before you visit.